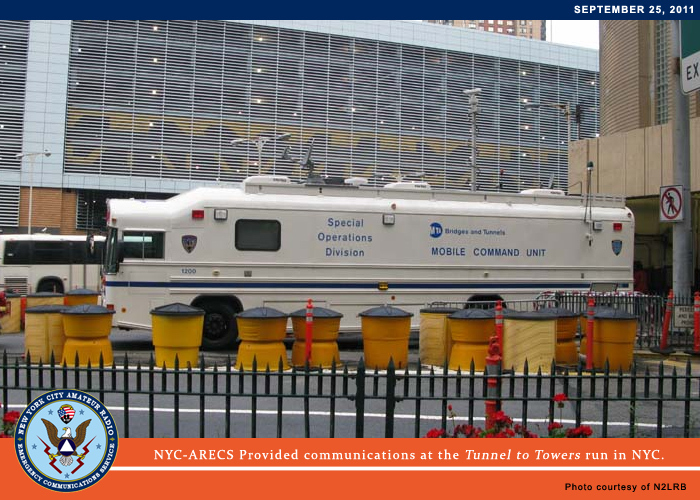 Providing communication at various venues in New York City is part of the NYC-ARECS mission. 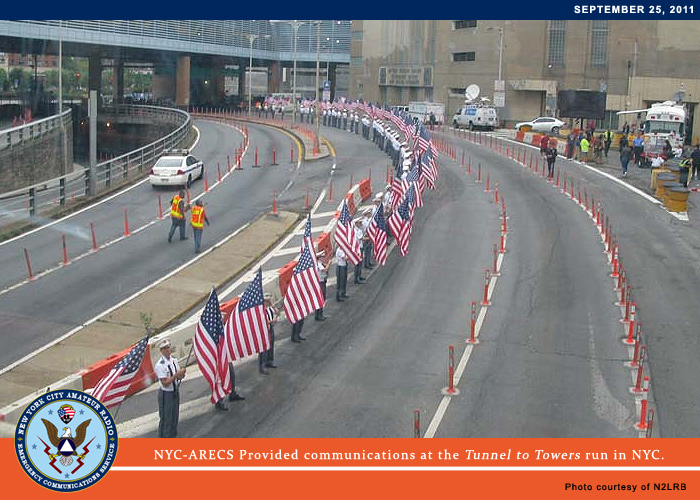 On our Public Service calendar is the annual Tunnel to Towers Run, a 5k run in honor of Stephen Siller, FDNY, who laid down his life on 9/11. 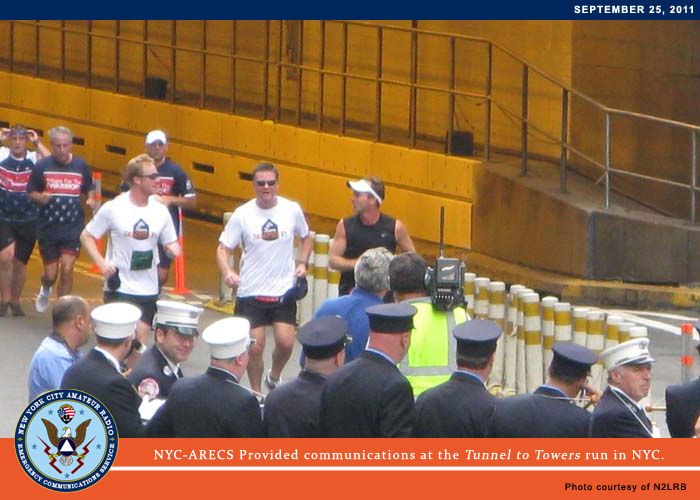 The following are photos from the 2011 run. 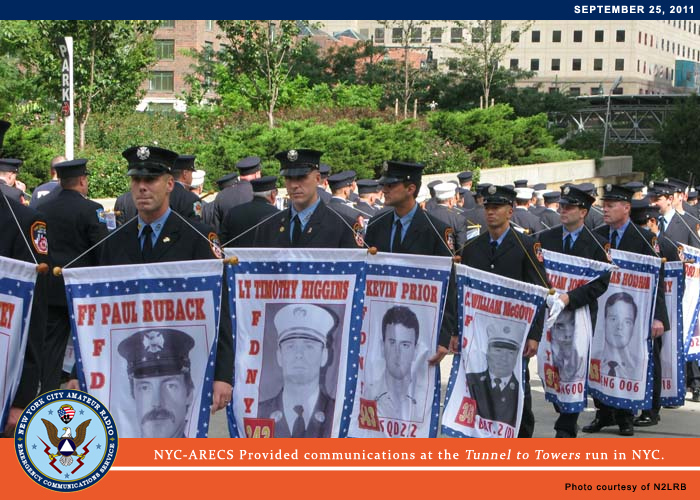 On September 11, 2001, firefighter Stephen Siller had just gotten off the late shift at Squad 1, Park Slope, Brooklyn. He was on his way to play golf with his brothers on that bright clear day when his scanner told of the first plane hitting the Twin Towers. When he heard the news, he called his wife Sally to tell her he would be late because he had to help those in need. 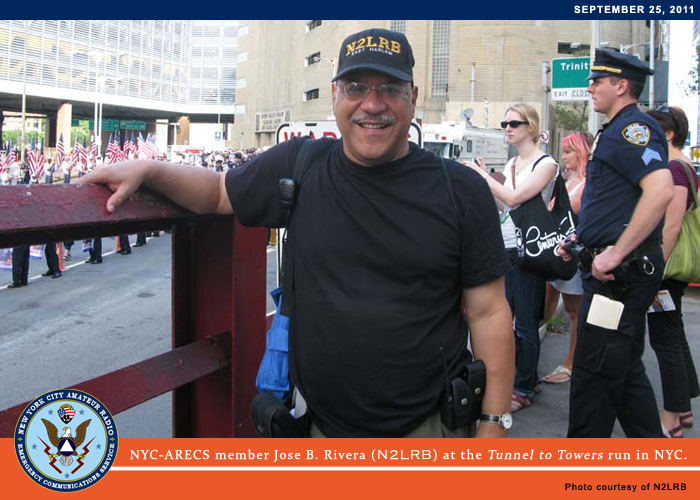 He returned to Squad 1 to get his gear, then took his final heroic steps to the World Trade Center. 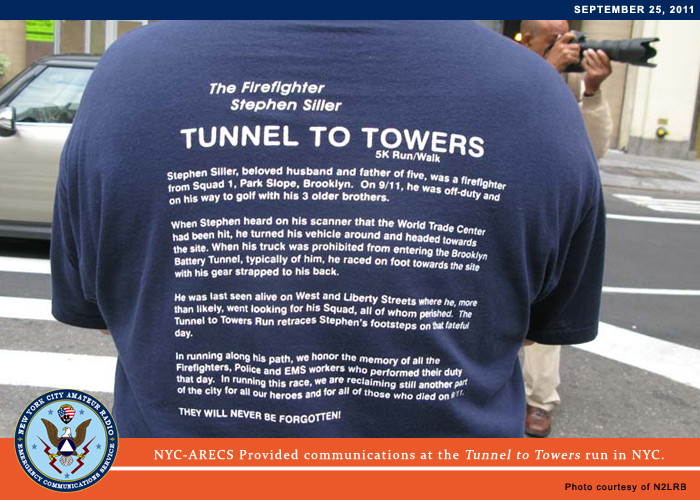 When Stephen drove his truck to the Brooklyn Battery Tunnel, it was already closed to traffic . With sixty pounds of gear strapped to his back, he ran through the Tunnel, hoping to meet up with his own company, Squad 1. Stephen was first and foremost a loving husband and father to five children. He was also a dedicated fireman, devoted brother, loyal friend and committed neighbor. His life brought great light to those around him.